Reusable ANTS� tags are attached to containers when sealing. Tags monitor security including door opening, temperature, radiation, people inside and report data via satellite to a restricted internet site. 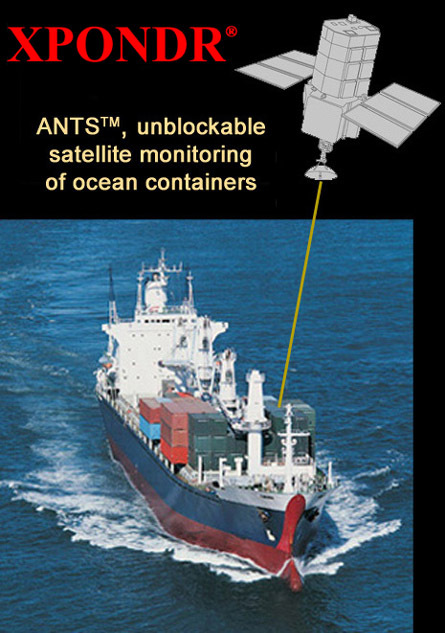 ANTS� tags talk to each other to relay data out of warehouses in stacks of containers or around other obstacles to find the satellite up-link device called a U-ANTS�. The data is then available to the shippers, carriers, forwarders, customs.